We’re all about great value and service. 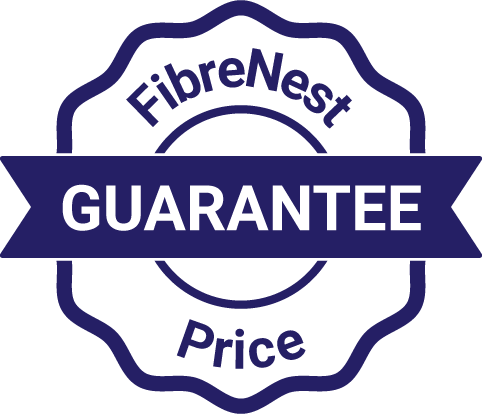 That’s why with FibreNest, we guarantee you’ll never pay more for the same speed package than with the UK’s largest broadband provider. Where our speeds cannot be directly compared, we guarantee you will receive faster speeds than its comparably priced packages. 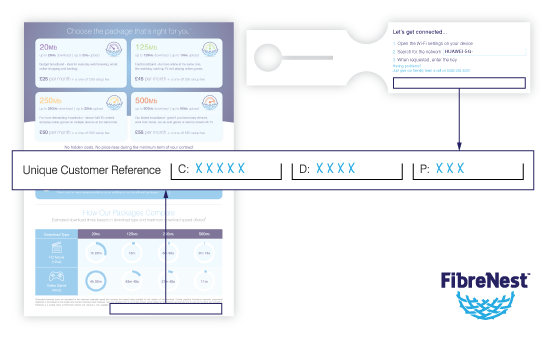 And don’t forget, this is all backed with super support from our friendly UK-based customer services team. Prices shown are in £ per month and are inclusive of VAT. Prices correct as of 02/04/19. Of course, it’s difficult for us to promise that our prices won’t ever change. Sometimes they might need to in order to ensure that we can continue to deliver the experience you expect, or to enhance our products and services for example. Where this is the case, any change would only take effect after your minimum term and prior to entering a subsequent minimum term with us. Our price match guarantee will however always ensure that our services remain competitively priced compared to the UK’s largest provider. The only event that would cause us to ever increase the price of your service during your minimum term is if the law requires us to, for example, the rate of VAT increases or new regulatory obligations are imposed on us.